That’s right, we ran out of space to fit in ten before – there’s just so much to talk about. In case you missed it, have a read of the first five things we are excited about this year, then take a look at another five below. After that you may go, or if you’re feeling really interactive you can leave a comment with what yours are. Is more always better? We aren’t so sure. It definitely made Spider-Man 3 messy and is history is threatening to repeat itself with the second remake (see part one). 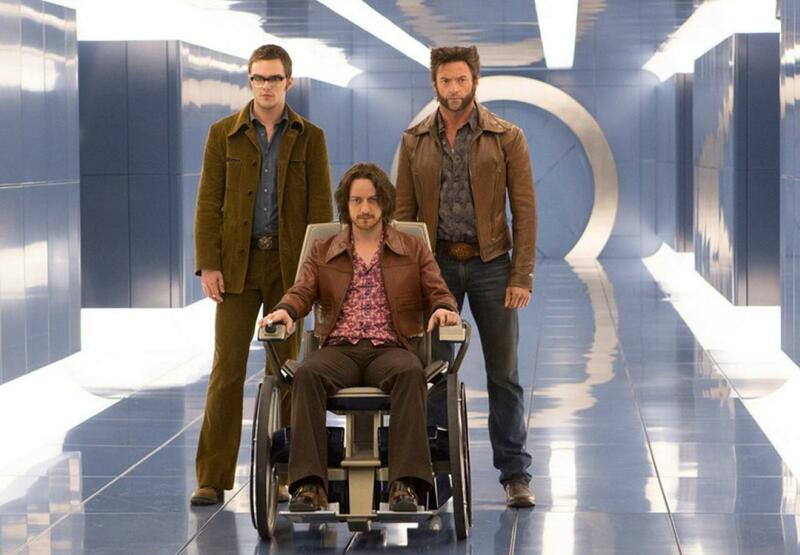 That said, it’s difficult to bet against the pedigree of the cast involved with X-Men: Days of Future Past. Promising new-ish talent in the form of Evan Peters as Quicksilver and rising star Jennifer Lawrence as Mystique, while old guard like Hugh Jackman (born to be Wolverine) bring some gravitas to proceedings and knights of the realm Ian McKellen and Patrick Stewart bringing up the rear. Of course this time roles are doubled up, as both Michael Fassbender and McKellen take on the iconic role of Magneto and make uneasy alliance with James McAvoy and Stewart’s Professor X. To say that this is an anticipated title would be an understatement. Original film series helmsman Bryan Singer is back and there’s some fantastic writers on board as well, with so many great characters, special effects and action sequences to come – what can go wrong? If the trailer is anything to go by we are in for a treat. The first of two multimedia TV choices on this list, both significant for different reasons. Last year House of Cards was Netflix’s first real foray into the world of original programming, and thanks to its success a handful of shows, both established and brand new, have followed suit. Now they have to do it again to prove that it’s not just a one-trick pony or a fluke – a second series is serious business. The show isn’t strictly original, since it’s a remake of a UK show, but I think given the differences between attitudes and political systems in the two countries it can stand alone with its head held high. Kevin Spacey nails the part of Frank Underwood expertly, so much so that he gained a number of award nominations, but, alas, only a (well-deserved) Golden Globe win for Spacey’s co-star Robin Wright. Netflix will want to improve on that this time around, to prove that they ‘count’ in the big leagues. Since the scrabble up the political ladder was vicious and frantic at times in series one, viewers won’t want Frank’s journey to get too easy this time around. All the episodes drop in at once on Valentine’s Day, will they make enough impact to tear people away from their loved ones? The Xbox One announcement was undoubtedly a multimedia entertainment affair, rather than a reveal of ‘a games console’. Microsoft had their sights set on something greater, and still do. Filming a TV series though, takes time, and with collaborator Steven Spielberg working on other TV projects as producer his time is sure to be in high demand. The potential of this show is what makes it such an exciting prospect though. 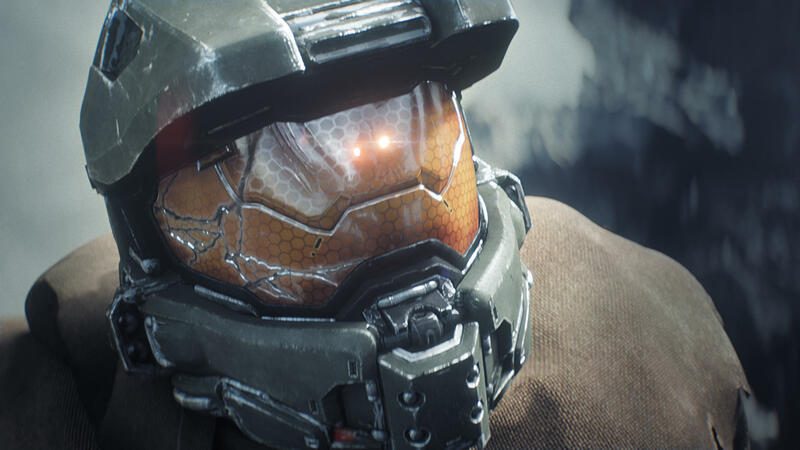 The Halo 4: Forward Unto Dawn web series demonstrated fantastic production values and, crucially, a compelling story which wasn’t over-reliant on the games – a very difficult balance to get right. The expectation from series fans is high, and as one of Microsoft’s key exclusives, they will definitely want to take the time they need to get it right first time. Particularly considering all the flack they got in 2013 for various PR mis-steps. The potential of the concept is huge though, and there’s a lot to play for. A massive captive audience and exclusive delivery platform just waiting to get going, while the interplay between the show and the game series itself, which is also keeping its audience hungry. MS have an opportunity to make a bold statement about what they can achieve in multimedia. It might not come this year in the end, but there is sure to be more revealed by the end of the year. Poor Cap. Thanks to merely his name, his origin story wasn’t as well received in the UK as it was in his homeland. 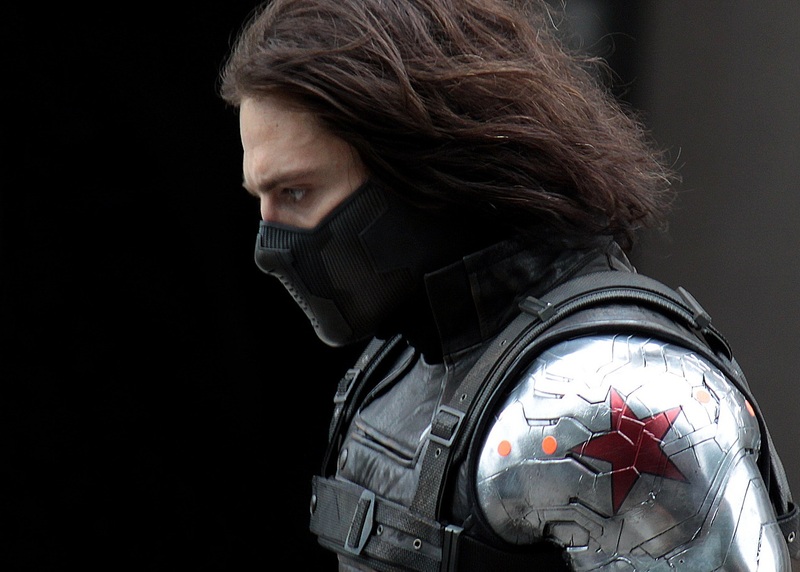 Luckily he has another chance with The Winter Soldier, and early forecasts are looking extremely promising. The character established in the first film had a surprisingly deep arc compared to his fellow Avengers, and as such was short-changed by critics. In this instalment the trailer paints a very compelling picture. Cap is still working with SHIELD, including Nick Fury and Black Widow, and is beginning to question the motives and methods of this highly destructive organisation. Not a gritty superhero story like The Dark Knight trilogy, but a very personal story which explores his character – albeit with some explosions thrown in for good measure. Directing are little-known pair Anthony and Joe Russo, who are sure to bring their own spin to proceedings, while the rest of the crew are equally unknown to the Marvel film universe, meaning the film has that mixture of excitement and fear you often find with an unknown quantity. Google have been making strides over the past few months, buying up companies left and right and making progress with both software and concept hardware such as Google Glass, but since the release of the Google Nexus 7, things have been quiet in the tablet division. The advertising for Google Play as the place to get your music, films and TV shows has seen a marked increase, giving the softest of indications that the next logical step on their tablet journey may be coming. Another patent deal with Samsung done and dusted in the smartphones division means there’s a few more patents to play with and since there has been a lot of expectation for a more specced iPad or wearable tech. At the recent Consumer Electronics Show (CES), product launches from Google were conspicuous by their absence and after Apple’s shares took a tumble on the back of less-than-overwhelming sales performance – now is the time to strike. The technology needed isn’t a million miles ahead of the excellent Google Nexus 10, produced by Samsung, with its screen in particular going down well and generally performance stacking up to the equivalent offering from Apple. To really turn heads though, they will need to go further. 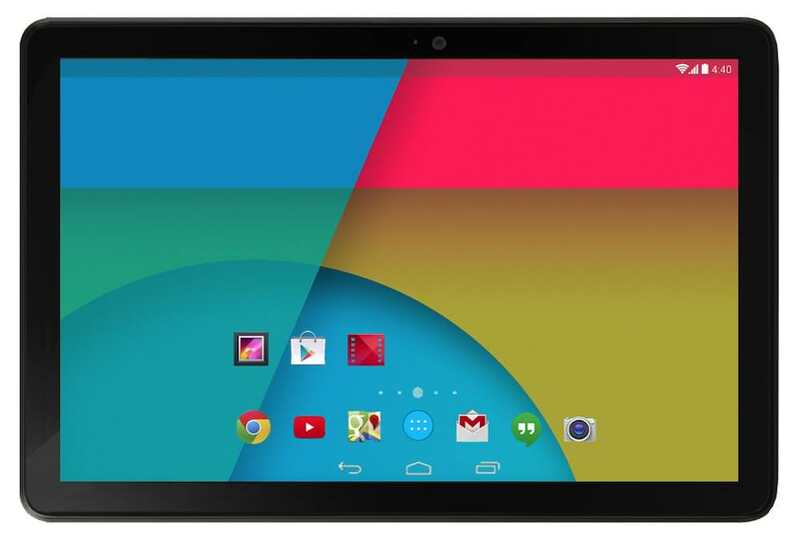 Does that mean a Nexus 11? Time, as ever, will tell, but there’s potential there for the taking. The ones to watch: Watch Dogs, Titanfall, Dragon Age: Inquisition, The Division, The Fray – Helios, Rancid’s new album, Robocop, 300: Rise of an Empire, The Hobbit: There and Back Again, Steam Machines, Oculus Rift, Hannibal and Game of Thrones. Some things are more important than an amazing plot. Things like strong character arcs, engaging action set-pieces and a dramatic visual style can really lift a film – unfortunately Catching Fire has none of these things. It seems a shame to begin on a negative when really, the film isn’t bad by any means, it just feels like what it is: a stepping stone to the next film in the series. I’m assured by fans of the book series upon which the films are based that a lot of necessary ground work happens in book two to set the stage for book three Mocking Jay (which, incidentally, is being split into two films). Unfortunately, for those of us not in the loop, the trilogy/quadrilogy’s second watches very similarly to its first. This time around, hero Katniss (Jennifer Lawrence) is back in her home of District 12, struggling to cope with the daily horror all around her as she lives in a special area for the privileged few who have won, or survived, the Hunger games. Of course, Katniss’ act of defiance at the close of part one hasn’t gone unnoticed by the masses, and as she and Peeta (who actually impresses a little as a character now) embark on a tour of the districts, revolution is brewing. 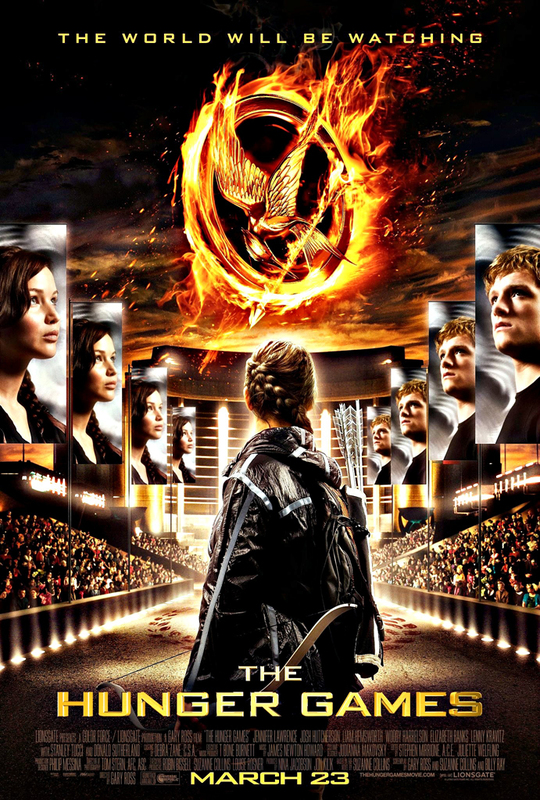 President Snow (Donald Sutherland) approves a plan from head honcho of the games Plutarch Heavensbee (Philip Seymour Hoffman) to turn Katniss into the very person she hates in the eyes of the public. 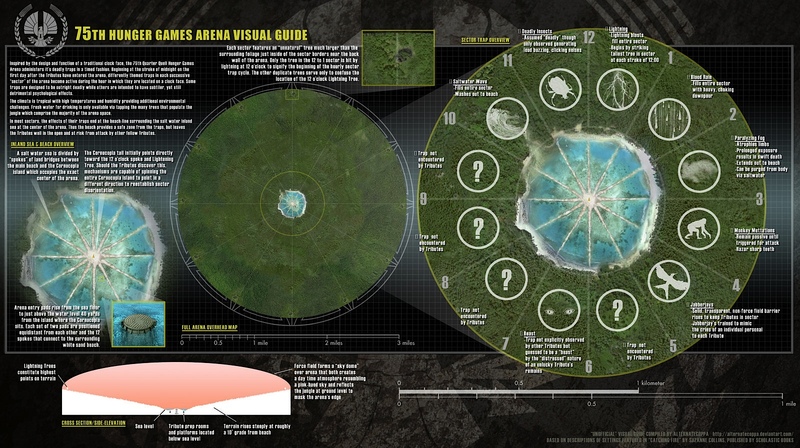 The plan involves a special hunger games, this time for previous winners, and from here the story continues much as before as the tributes begin to brutally kill each other in the games (a lot more off-screen this time, interestingly). This is where the issue with Katniss as a character begins unfortunately. The consistency of her through the various trials she goes through inside and outside the games is all over the place. One minute she is defiant within an inch of her life, resolute in her belief and nothing can stand in her way. The next she is in tears unsure of what to do or falling for one of the many obvious traps laid out in front of her. The memories of what happened in the last games haunt her, clearly, but she seems to not have learnt anything from her last experience, making basic mistakes and costing people their lives as a result. The supporting cast, admittedly, are fairly strong overall. Stanley Tucci is glorious fun as Cesar, while Woody Harrelson brings his role as the uneasy mentor forward from the previous film. Lenny Kravitz is as unforgettable as ever and the casting of some of the other tributes raises an eyebrow, particularly Jeffrey “call me Felix Lighter” Wright as an overly mentally capable tribute with a penchant for electrocution. 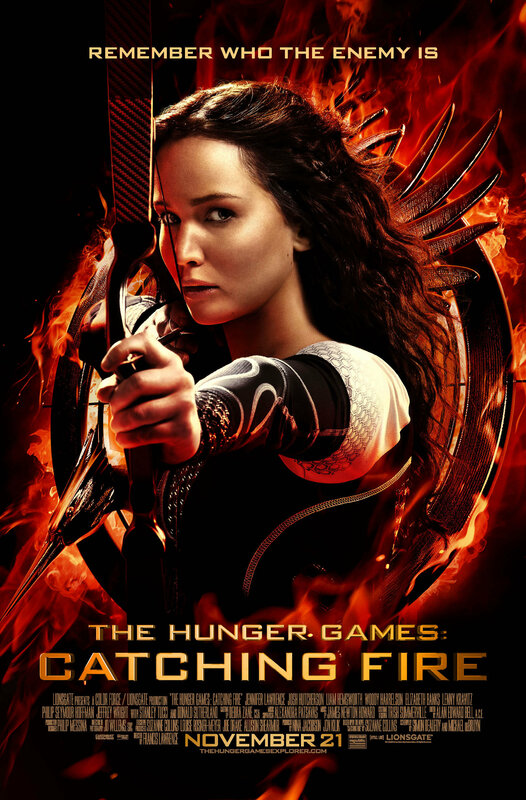 The biggest disappointment from this film is that it could have been so much more if the drama was pushed up in any given scene, but you struggle to care about Katniss’ plight, save after one fairly uninspiring speech which ends in bloodshed (which could, also, have been much more arresting). The film may stack up better as part of the complete saga, but for those going to the cinema for a memorable experience, it’s hard not to feel short changed. It’s not every day you watch a film about children fighting to the death, but in the dystopian future of The Hunger Games it’s as normal as watching Big Brother. 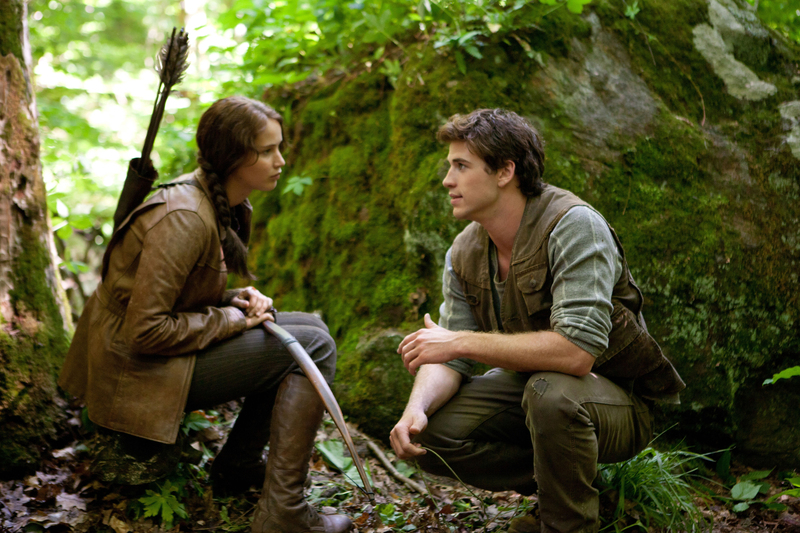 Following a rebellion 75 years before, the authorities decreed that each ‘district’ offer up a boy and a girl between 12 and 18 as a tribute to peace and prosperity to compete in a televised battle for survival known as The Hunger Games. Our introduction into this troubled world is through the eyes of the hippy-named District 12 tribute Katniss Everdeen (Jennifer Lawrence), who volunteers herself for the games to protect younger sister Prim. Katniss is immediately transported from a world of hardship and destitution, living on the breadline and hunting deer in the forest for food, to the brightly coloured land of plenty that is the central city: Capitol. 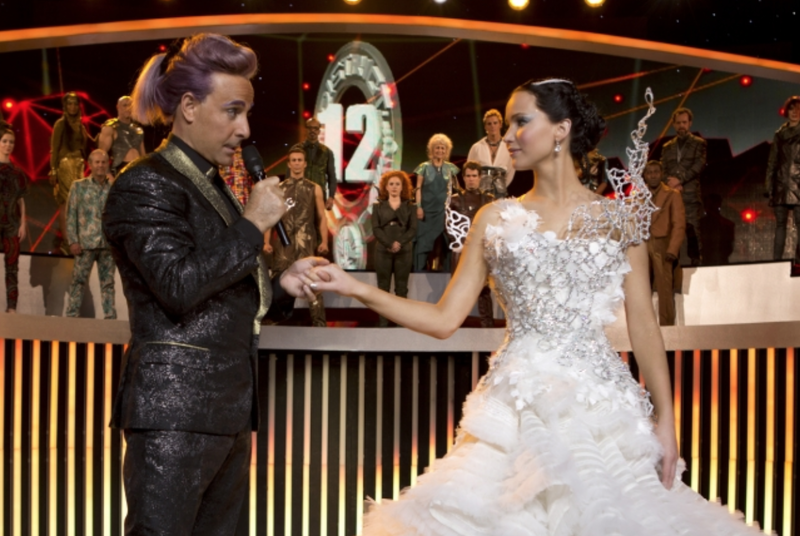 The contrast between the two settings is emphasised by the garish and fluorescent clothing worn by those in the Capitol, who immediately see Katniss and the other tributes as celebrities. Those of you thinking the story sounds familiar, chances are you may have heard of or seen the 2000 film Battle Royale – a Japanese film which centres around a group of ninth grade students forced to fight to the death. While it was something of a television phenomenon in the world of Royale, it is the centre of everyone’s lives in The Hunger Games. The comparisons to the Twilight saga are founded by the central love triangle, between Katniss, life-long friend Gale (Liam Hemsworth) – who she is forced to leave behind – and fellow District 12 tribute Peeta (Josh Hutcherson). There’s not much to this through this film though, with Katniss not showing any affection to Peeta despite his longing and no hint of more-than-friends in her introduction with Gale. Later Katniss plays up to the hints of love between her and Peeta for the watching public, but there is no real attraction. 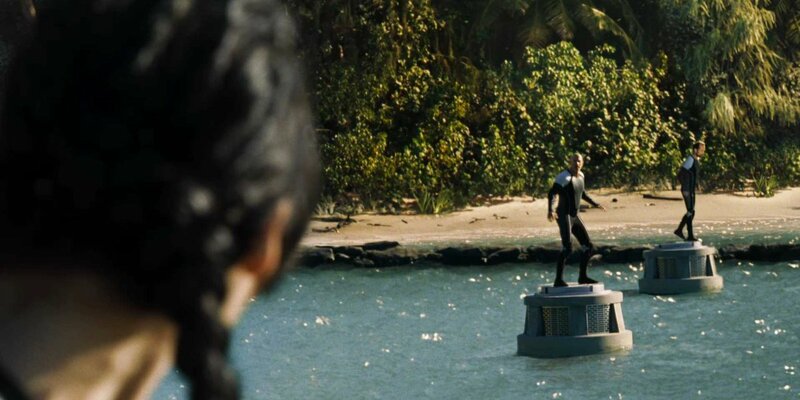 In all Katniss comes off as driven and focused, showing very little emotion to anyone but her family. Lawrence is generally very stiff and has no natural chemistry with the rest of the adult cast, which is either a reflection on her acting prowess or her commitment to the character’s general lack of empathy. To compensate, one stand-out scene towards the finale floods the screen with emotion, and Lawrence earns her top-of-the-bill status. The supporting cast vary. Hollywood middle-weight Woody Harrelson (Cheers, 2012, Zombieland) as Haymitch Abernathy, a previous winner of the games, initially makes a forgettable impression, but becomes more and more likeable. Mentor Cinna, played by none other than rock legend Lenny Kravitz, seems underused for what is such a crucial part of building Katniss’ confidence during training ahead of the games and the heavily made-up Effie Trinket (Elizabeth Banks) is little more than a piercing voice. The film is based on the first of a trilogy of books, and despite the faithful reproduction the background feels a little rushed with only a minute-long propaganda video (barely) explaining the reasoning for killing 23 children a year. Director Gary Ross also helped shape the story as screenwriter, where he made his name with films like Big and Seabicuit, alongside original author Suzanne Collins. The care and attention of the pair shows through here, with the spirit of the source material translated on screen smoothly and all the doors left open to bring in an almost inevitable sequel. There’s plenty that’s done well here, but the plot as a whole plays out predictably and with toned-down action scenes and ‘magic’ healing gel to fix stab wounds, some of the point of the story is lost. Despite the constant danger you rarely fear for the characters, but you do root for them, making it a story suited to its watershed-friendly certificate.